With so many online retailers jostling for a piece of the action, it is almost impossible to pay the list price for a product – and everyone shopping in cyberspace is after a deal. This discounting culture has come under the legal microscope and also raised questions about principles surrounding eCommerce. There is no getting away from it that eCommerce retailers draw buyers in with “list prices” or “official prices” and mark them down dramatically to get a sale. Online shoppers are desperate to feel they have got themselves a bargain, and online retailers want to satisfy that desire. It has caused a spate of lawsuits alleging retailers are engaging in deceptive pricing by claiming markdowns from an arbitrary “price list”.The issue first rose its head in 2014, when a group of California district attorneys brought a false advertising suit against Overstock.com, accusing the online retailer of using misleading list prices in order to exaggerate the amount of a customer's savings. It cost Michael Kors, for example, $5 million to settle a class action suit challenging the prices offered at its outlet stores. With the US government, in the form of the FTC (Federal Trade Commission) first off the blocks in investigating these tactics, the mythical standard price could soon see its demise in cyberspace. Pricing is one of the most difficult parts on online retail. Why? Because it is a huge challenge to keep up with a dynamic marketplace. If the price is too high, online shoppers go buy elsewhere, if it is too low you risk your profit margin and create a customer base that always expects rock bottom prices every time. 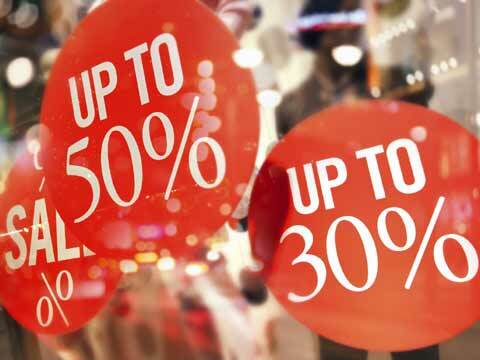 Online shoppers thrive on comparing prices. Keeping prices on par with the competition is of paramount importance. Real-time, constant pricing adjustment based on market factors has to be the solution to satisfying the bargain-hunting appetite of online shoppers – in the form of price optimisation. Pricing response time is the key. Automation enables online retailers to optimise pricing 24/7.The market changes quickly and to succeed online retailers need to be able to change pricing to keep up with it. Technology that can really analyse big data to enable online retailers to get full visibility of new and returning customers, enabling them to optimise for demand, trends, products, price architecture and regional behavioral differences has to be the way forward. Volume, pricing and revenue goals with automated price adjustments constantly taking place will enable online retailers to operate with confidence in this “list price” free world.